The team at Toothkind in Deagon is experienced, knowledgeable and, of course, KIND. Our dentists are gentle and focus on providing comfort and care for all our patients. We believe that everyone deserves a beautiful, healthy smile, which is why the team at Toothkind Deagon aims to exceed the expectations of our patients by achieving optimal results. We aspire always to give our patients the highest quality care possible and will customise a dental treatment plan to suit your unique needs and budget. Chris graduated in 2004 and has been working in general practice ever since which means he now feels like an old hand whenever he meets new graduates! 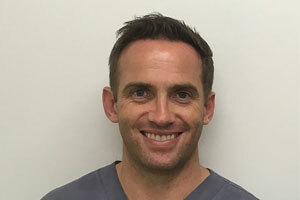 He enjoys all aspects of dentistry and has a particular interest in the use of dental ceramics. Chris passionately believes in the importance of having a great team to enable dentists to provide the highest possible standard of care in a warm welcoming environment, which is why he’s so proud to be a part of ToothKind. In his spare time, Chris enjoys mountain biking, surfing, and scuba diving, He’s currently learning Spanish and hopes to put this to good use on his next scuba trip! 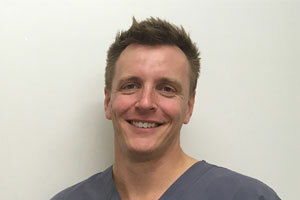 James is excited about modern dentistry and the quality of treatment he is able to offer.He is dedicated to pursuing excellence in patient care and believes in dentistry being gentle, and as pain-free as possible. James graduated from Newcastle University, UK in 2002. After a few years working in private practice, he followed his dream and moved to Brisbane in 2006. Away from Dentistry, James can found on the local mountain bike trails, in the gym or generally outdoors enjoying the best that South East Queensland has to offer. Ian joined Toothkind in 2013 and brings considerable expertise in root canal therapy and wisdom teeth removal. He has considerable experience in both general practice and in various teaching positions. In his spare time, he enjoys spending time with his wife Heather and their four children. He also tries to complete a challenging crossword every day! 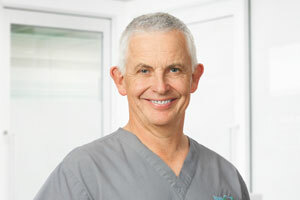 Ian is currently head of endodontics and oral surgery at Toothkind. Jacky has a reputation for her gentle chair side manner. She is proud to focus on communication, and to provide a dental experience where patients can smile during and after their treatment. Jacky joined the Toothkind team in early 2015 and has found the practice philosophy to be a perfect match. 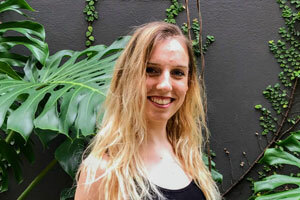 A local graduate of Griffith University (Gold Coast), with awards for Academic Excellence, Jacky is passionate about continual expansion of her scope of practice. She has a keen interest in cosmetic dentistry. In her spare time, Jacky loves being in open space in the hinterland or by the water. She is a yoga student, a cooking enthusiast, and enjoys getting lost in books and in travel. Gejing (Ge) graduated from University of Otago, New Zealand 2010. Since graduation, She has been practising in Australia with a good exposure to a wide variety of general dentistry including restorative, crowns and bridges, dentures, root canal treatments and minor oral surgery. She has a special interest in orthodontic treatment, cosmetic dentistry and smile design. 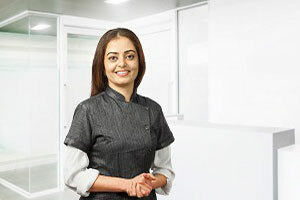 She believes in practicing good quality dentistry and flexible approach to work to provide first-rate care to patients. Outside the dental surgery, Ge does contemporary dancing, painting and sculpturing. In her spare time, she is building her contemporary art portfolio and hoping to have an exhibition in Tate Modern when she’s 80, or maybe 90. Dr Lisa Padia graduated in 2003 from BVP deemed university in India. She then moved to Adelaide and completed her diploma in Heath Service Management from Flinders university. Upon acceptance by Australian Dental Council in 2009 -she worked in Happy Valley Dental Surgery, Adelaide for 5 years before moving to Brisbane last year. 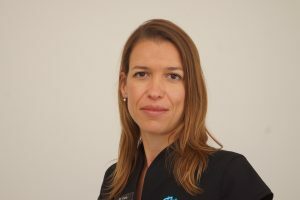 She is experienced in all aspects of general dentistry and known among patients for her caring and compassionate nature. She believes in preventive , minimal invasive dentistry and most appropriate patient care according to individual needs. She has a relentless attitude to learn more and improve her skills. She enjoys working with cerec and is trained to provide Invisalign. 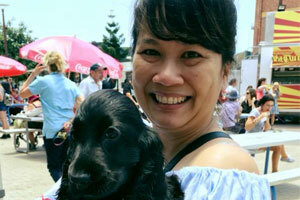 She is loving the Brisbane weather and enjoys long walks, yoga, scuba diving and travelling in her free time. Before earning qualifications in dentistry at the University of Queensland, Dr Tarra Lind was already qualified as a registered nurse. Her long-standing dedication to others’ health translated to success as a fledgeling dentist: in her graduating year, Dr Lind was one of 50 dental students chosen nationally to work as part of the voluntary dental graduate program. Although Dr Lind enjoys helping all patients with a variety of issues, she is particularly interested in kids’ dentistry, special needs and dental anxiety. Her experience and warm demeanour are a helpful combination if you’re anxious about dental visits! Dr Lind is also a member of the Australian Dental Association. When she’s not working in the clinic, Dr Lind enjoys spending time with her family and creating terrariums. Carla graduated from the Federal University of Minas Gerais, Brazil, in 2000. She further developed her skills through postgraduate courses in Prosthodontics (2003), Implant Dentistry (2007) and Public and Primary Dental Health – University of Western Australia (2011). With over 15 years of clinical experience, Carla has a passion for family dentistry. She rejoices in interacting with all age groups and focuses her practice on empowering people to live healthy lives and enjoy their smiles. Carla is an active member of the local dental community. This includes being a member of the Australian Dental Association and The Australian Society of Implant Dentistry, as well as holding a Research Fellow position at The International Research Collaborative – Oral Health and Equity (School of Anatomy, Physiology and Human Biology, UWA). In her life outside dentistry, Carla and her young family enjoy outdoor activities and traveling. and improve their quality of life. 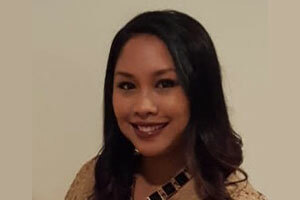 Following the completion of her studies in the UK, Mayra moved to Adelaide where she obtained an Advanced Diploma in Oral Health with the focus on Preventative Dentistry and treatment of gum disease. Currently, she splits her working time amongst Toothkind and supervising dental students at Griffith University. She is very keen on keeping herself up to date with the latest dental procedures and materials available. Outside work, she enjoys travelling and has just started CrossFit. 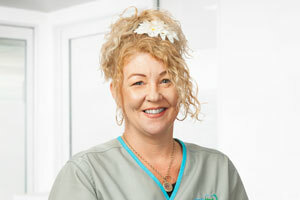 Melinda has been part of the team at Toothkind since opening their first practice in 2010. Melinda is our Business Manager, her role is to ensure the smooth running of all the practices by managing the team and supporting the Dentists. Melinda has 29 years’ experience working in Dental practices and she brings dedication as well as her wealth of knowledge and experience, and her natural people skills to our dental office everyday day. Outside of work she can be found keeping busy with her husband Brendan and her 4 children. 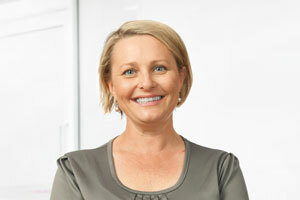 Melissa has been working in the Dental industry for just over 20 years now. She is mum to two busy boys who adore there AFL Football or any sport actually, and this keeping her super busy on weekends. Nicole is a mother of 2 adult daughters. She is a qualified hairdresser by trade and has also worked in retail for many years. Shelby is happy to call herself a member of the Toothkind team as a dental assistant. She enjoys her job and take pleasure in helping our clients to understand more about their teeth and oral hygiene habits. Outside of work she makes time to keep active in the outdoors; however, on the weekends she takes time out of my schedule to give back through various volunteering avenues. Shelby also makes an effort to keep the people around her happy as well as herself, this is a quality Shelby tries to bring into her work environment at Toothkind. Kay has been working with Toothkind dental since 2015. From her first visit to Toothkind Dental Kay knew she wanted to be part of their team. If she wasn’t hired as their Dental Assistant, Kay knew she would be their new patient. 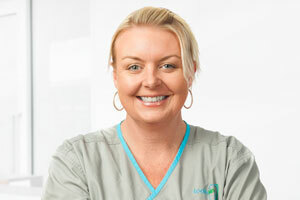 Kay loves what she does, helping patients obtain their perfect smiles and a healthy mouth. Also the importance of treating the patients like family, and making sure that their visit here can be the best visit possible. She enjoys being a part of a professional dental team at Toothkind that provides exceptional dental care. In her spare time, she loves watching movies and going to the beach. Kay has a husband who she loves to spoil and loves spending time with – a fun loving English Cocker Spaniel named “Chowguay”. Ainslee 19 years old and works as a dental assistant. This is her first ever dental job, and she is currently studying for her cert 3! Ainslee loves this job so much and can’t wait to study as a dentist. She enjoy spending time with her friends, eating good food and long drives! Natasha more informally goes by Tash around the clinic. She has been assisting Dentists since 2009, and her number one priority is to make sure you feel comfortable and relaxed in the chair. She absolutely loves children. Outside the clinic Tash can’t get enough of her Latin Dancing. One of her dreams is to travel the world to experience the dance cultures and one day teach and inspire others through dance. 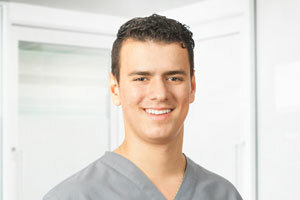 Nik started at Toothkind 3 years ago when he was at school, as a school based trainee. He have since remained at Toothkind after finishing school and is continuing to study a certificate 4 in Dental assisting. Nik is pursuing his goal to become a Dentist in the next few years. When Nik is not studying he enjoys hanging out with his friends and family. 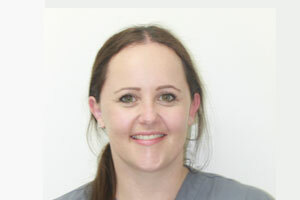 Jo has been a dental nurse for 10 years now and has been with the ToothKind crew for the last five. As well as working alongside some of the best dentists (and coolest people) around, she has also worked as a qualified makeup artist for 7 years and is also training to be a paramedic. Being a mother of two whilst pursuing my many interests might seem a little full on for some, but she wouldn’t have it any other way. 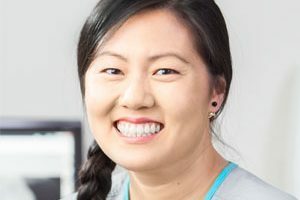 As you can guess, Jo is quite passionate about the field of medicine, and she looks forward to meeting you at the Toothkind clinic and sending you off with a smile.